Good Rum Very nice sipping rum. Have had better and drier rums but this is definitely worth adding to your collection. Nice Rum I enjoyed the Ron Metusalem 15 but the 18 is so much better. This is definitely going to be a keeper in my cabinet. Not a bad Rum but... Sampled Bacardi 8 yr Rum and found it to be OK, probably good for mixing but just OK to sip. OK but young... Sampled Don Q Anejo rum and for a 3 year rum it's not bad but there are better choices around. Might be good for mixing. 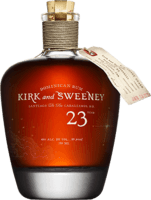 Nice Rum by Santero 38% ABV, this light Cuban rum emits aromas of caramel and orange peel. Better for mixing than sipping. Ok for mixing, Not sipping Good Cuban Rum for Mojitos. Also passable with Coke but not a sipping Rum. Not a sipper but better than I anticipated Definitely not a sipper but I found CMDark tolerable and better than I had imagined. Probably a good choice to use as a mixer, hence my rating of 5. Not bad Not a fan of spiced Rums but sampled Captain Morgan Black Spiced rum and although sweet, it wasn’t that bad. Not for me... 👎 Sampled Chic-Choc Spiced rum and found it too spicey and sweet. Probably a good choice for mixing but not my style. Just OK Sampled another agricole rhum and still not fussy about it. I’m not saying it has a bad taste, I just can’t get used to agricole rhums. Not a Sipper! Sampled Brugal Anejo and found it quite boring as a sipper. Might be a good option for mixing. Good Mix Sampled this light Cuban rum which is appropriate for a mix but lower end of the scale as a sipping rum. Nothing special! Sampled Atlantico Reserva rum but did not detect anything special about this rum. 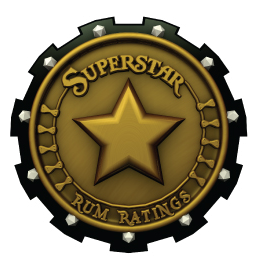 So-so Have had other overproof rums and this one didn’t do much for me as a sipper. Probably better used as a mix. Vanilla, vanilla, vanilla Disappointed in the overwhelm8ng taste of vanilla in this rum. Will not buy again. Very Dry 👎 Sampled Saint James Royal Amber Rhum Agricole, which I found very dry. Not a fan of Rhum Agricole. Too much sugar 👎 Sampled Ron Abuelo 12 yr rum and was disappointed by the overwhelming sweetness of this rum (29 gpl). Not a fan! Sweet 👎 Sampled Don Maderas PX 5+5 and found it to be very sweet, so sweet in fact (36 gsl) that I couldn’t even taste the alcohol. Not for me! Not much flavour to this rum Not much flavours to this rum, obviously marketed for mixing. Too sweet for my liking 👎 Sampled this rum but the sweetness Seems to hide any resemblance of a true Rum. Obviously enjoyed by many but this is not for me. First Agricole Rum ever tried! 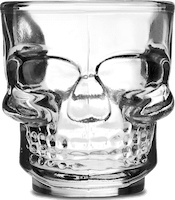 👎 Sampled this Rum and must say that I was not impressed at all, which is not to say that it is not a good rum, just not my style. Aweful Purchased a bottle of Angostura 1919 on sale for $35 CAD. Overwhelming taste of vanilla, two sips and I poured the bottle down the drain. Never again.